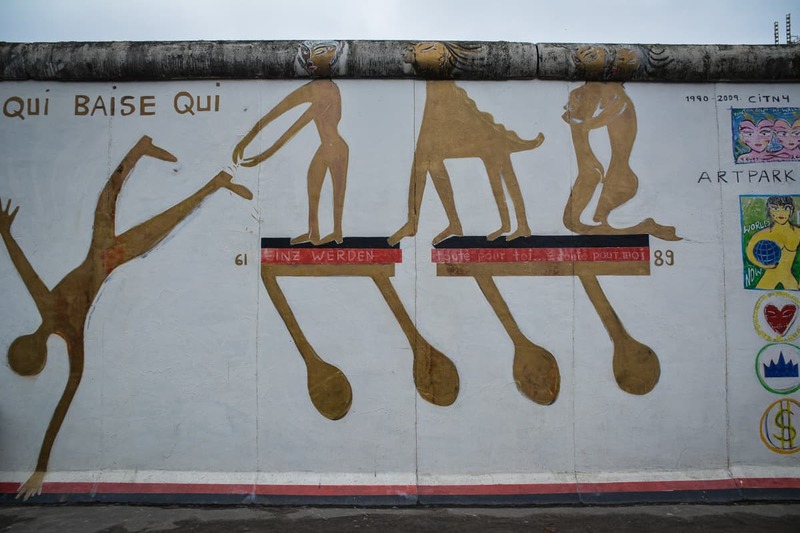 The stretch of the Berlin Wall that is now known as the East Side Gallery Berlin. For almost 30 years people wished it wasn’t there at all. It was clearly visible in the fabric of the city but people chose not to see it. Too much pain was associated with it, too much desparation, too much anger. 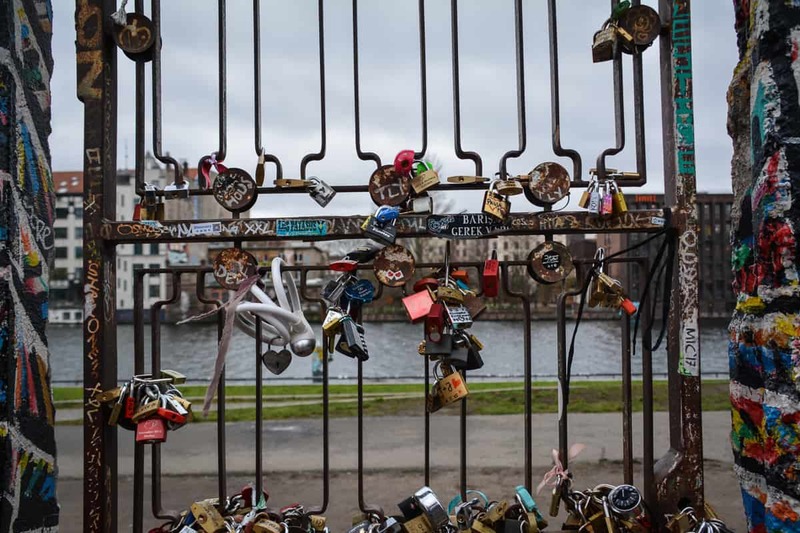 From West Berlin, in Kreuzberg, you could make it out from across the river like a grey ugly snake with the occasional watchtower and barb wire. 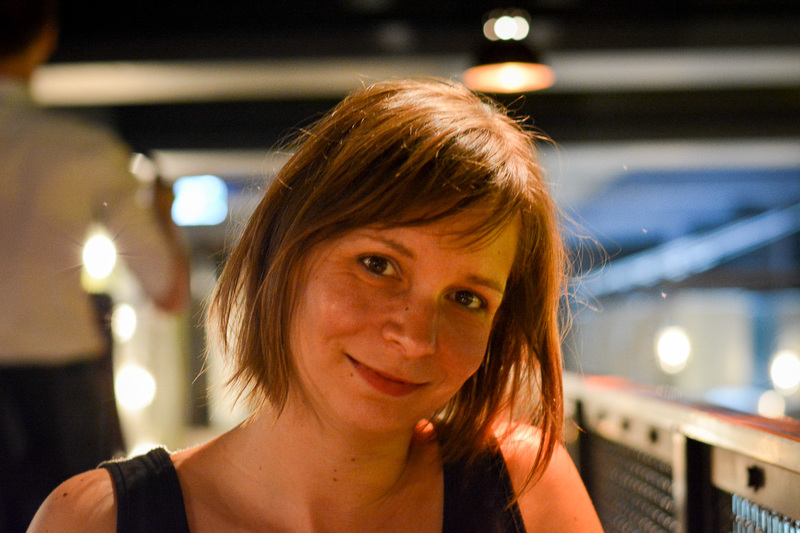 From the East, in Friedrichshain, it followed the front of a busy road. A sad, dull and appalling reminder of how slaps of concrete could tear apart friends and families. 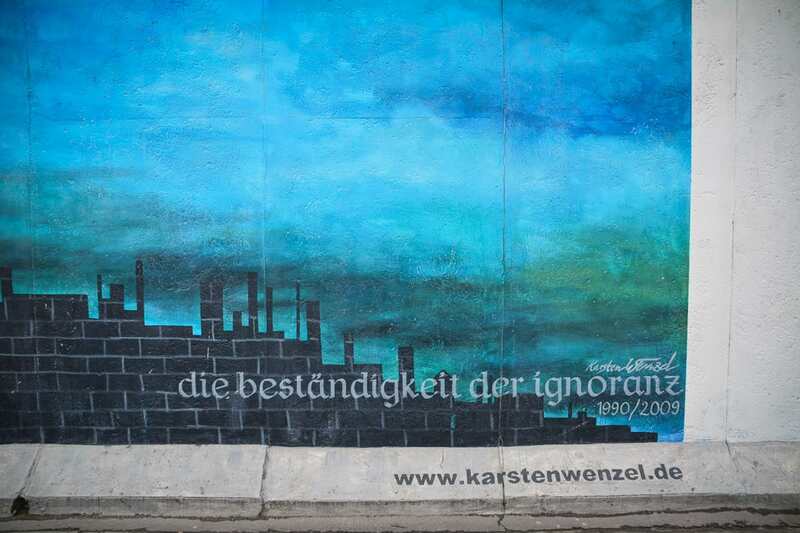 Truth be told, the Berlin Wall was like the elephant in the room. Nobody wanted to touch it – nobody even could touch it – , yet it was there in full sight for everyone. 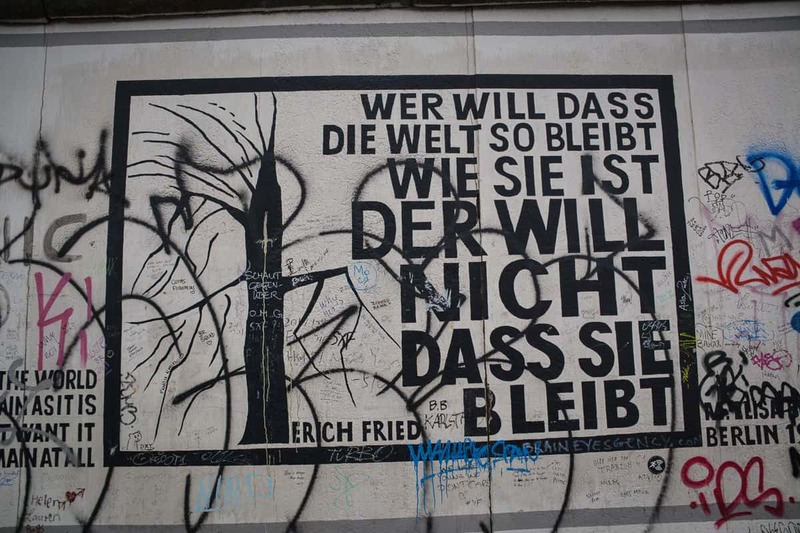 Today, it is not a problem to feel the surface of the Berlin Wall. It’s crumbling, dusty and cold. I know because I tried it with my own hands. 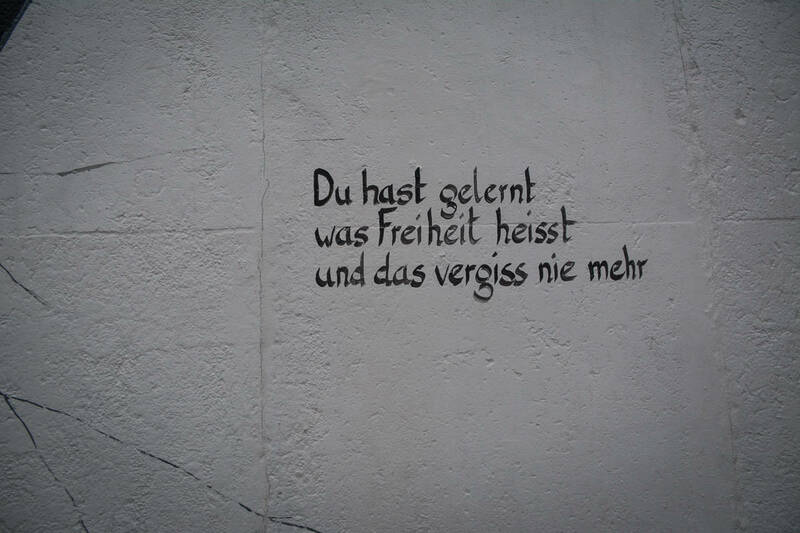 You Have Learned what Freedom means. Don’t you Ever Forget it. 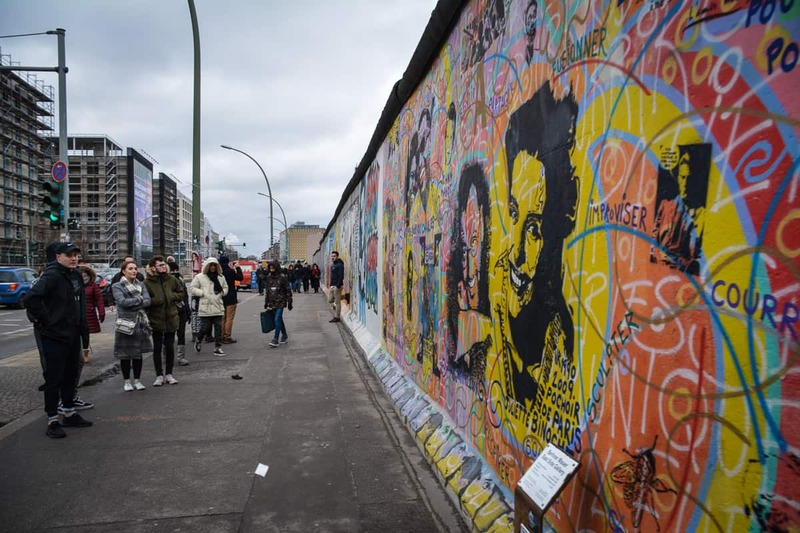 How much the Wall was hated by Germans on both sides of the border becomes clear when you remember how quickly it disappeared once the political system of the GDR broke down. Friends and neighbours came with bulldozers and pickaxes and tore down and chopped at it until almost nothing was left to divide the people of Germany. 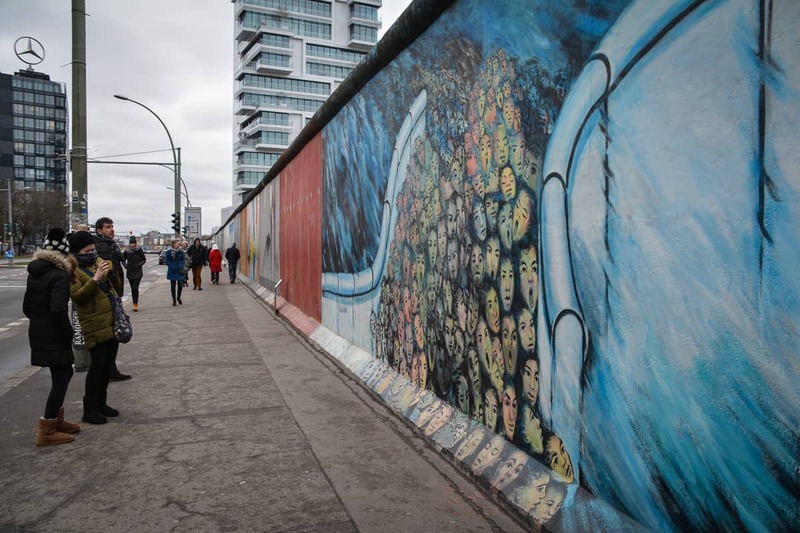 Only few sections of the Berlin Wall remain today. 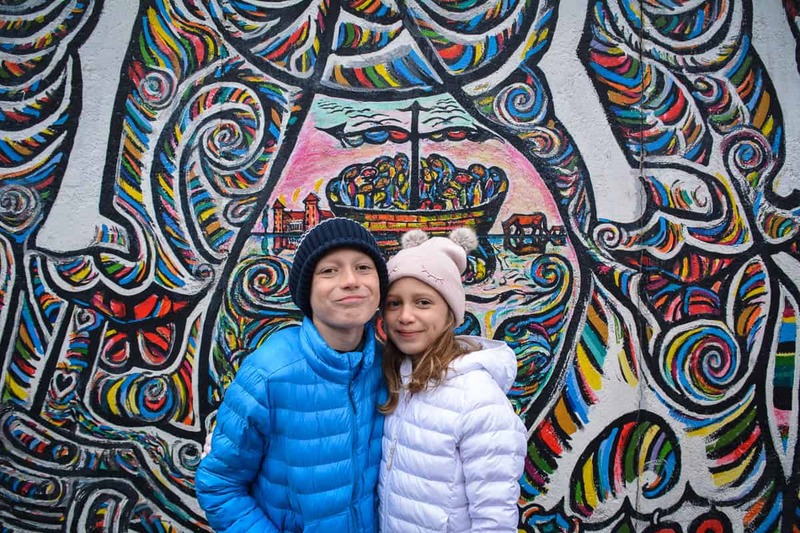 It is remarkable to think that the East Side Gallery was once commissioned by a state that had been responsible for the construction of the Berlin Wall in the first place. 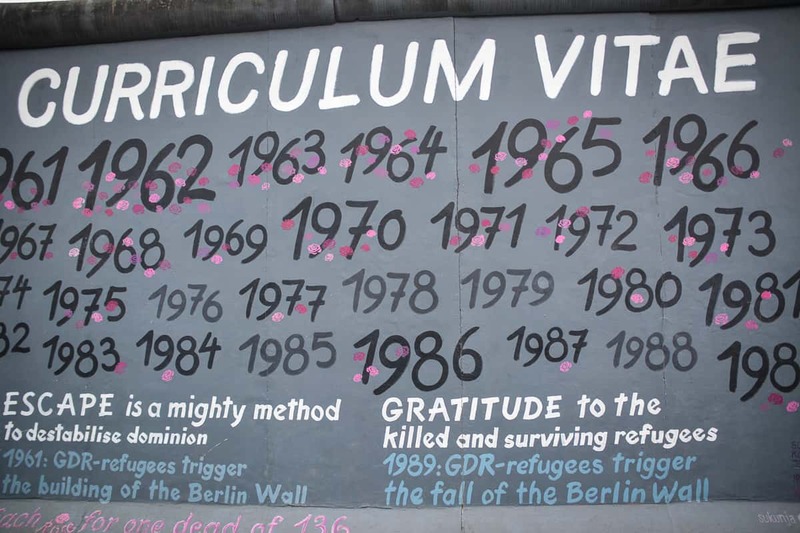 The initiative may have been started within the circles of artists but the legal foundation was indeed set by the Councils of Ministers of East Germany. 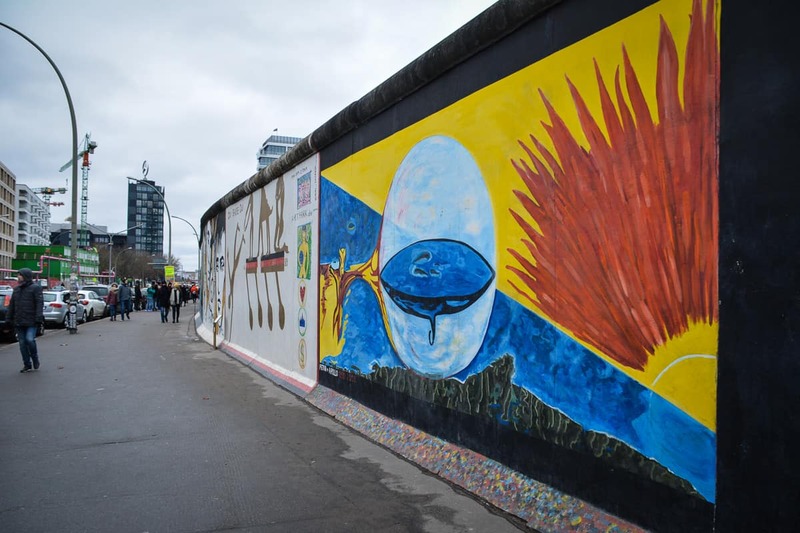 In the first version of the East Side Gallery Berlin, the longest remaining stretch of the Berlin Wall, artists came together to provide commentary to the changing political situation not just in Germany but the world at the time. 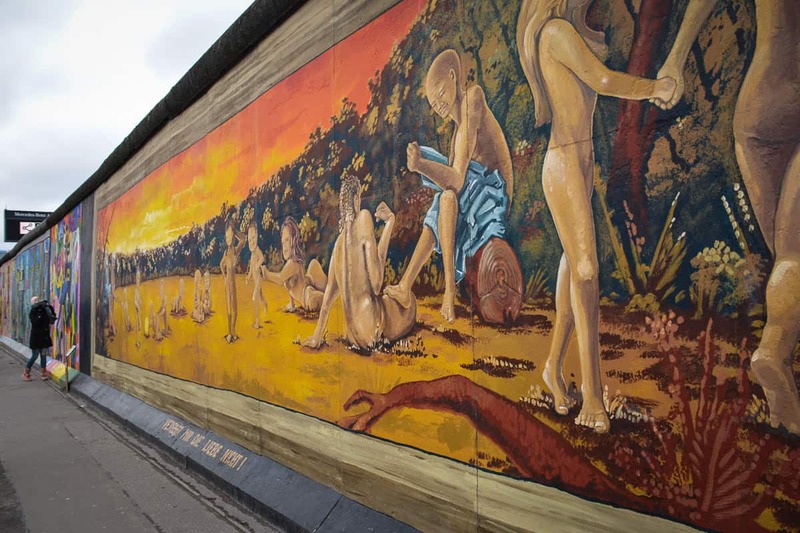 Once the 103 murals were finished, they were placed under official protection. Despite efforts of conservation, the bright and colourful pictures which proved to be a testament to the hope of a whole generation suffered immensely. 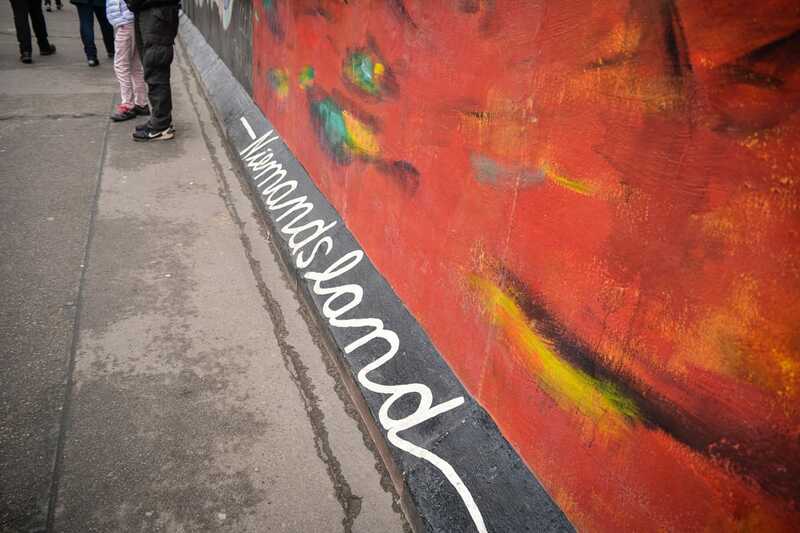 Illegal graffities soon defaced some of the artwork. City fumes ate away the porose concrete. It soon became clear that some drastical conservation work needed to be carried out to save the artwork and the project as a whole. Following the official invitation, most artists returned to repaint their pictures. 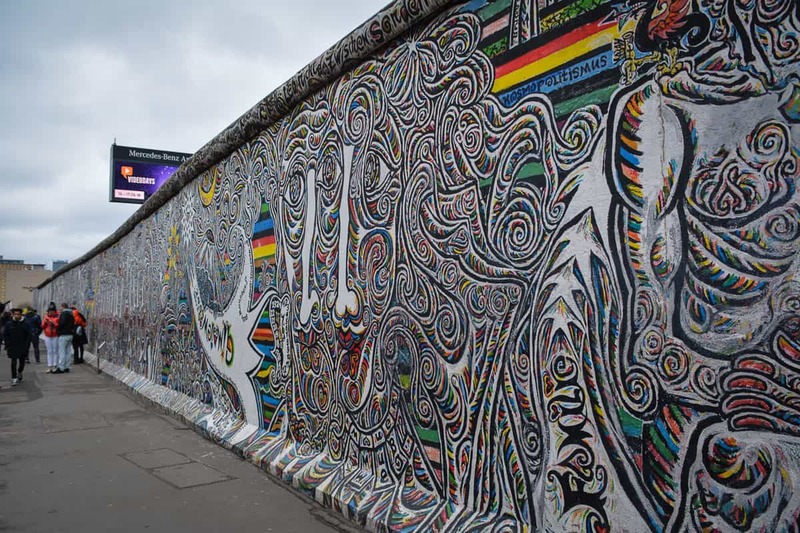 There was some controversy around how this project was executed, with some artists sadly prefer not to return to the East Side Gallery to rescue their work. What we see in most parts today though is the more durable, brighter, re-invented version of the originals. 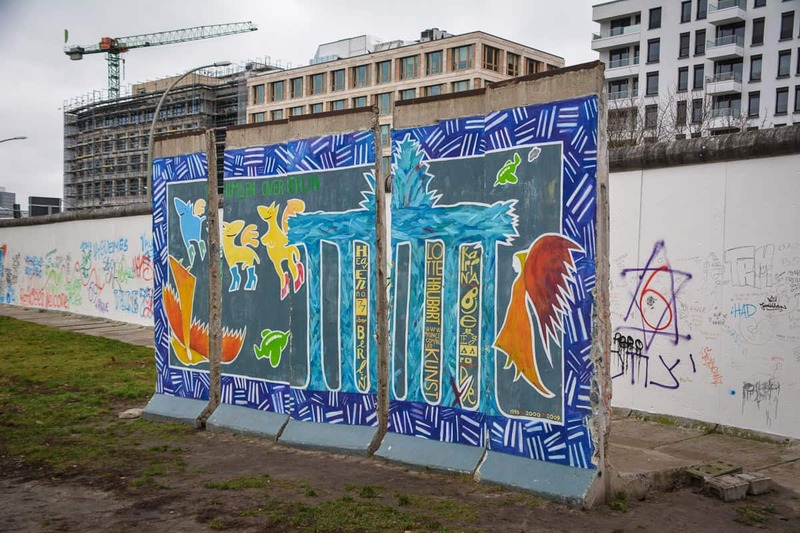 They may not be the initial artwork that was once commissioned by the East German State in the truest sense, yet it doesn’t make them less powerful. 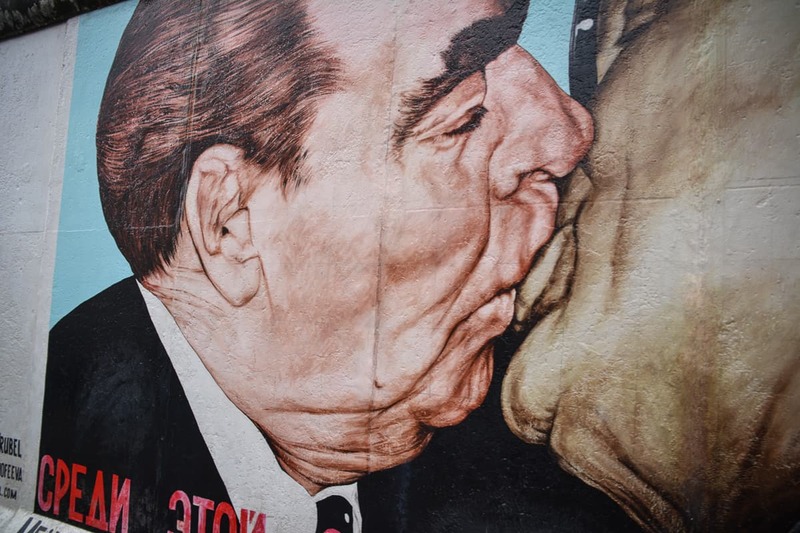 The East Side Gallery is 1.3 kilometers long. It is the longest open air gallery in the world. It’s free to visit and a perfect stroll while you are in the city. Walking past the artwork is like reading in a book. An universal book of art with only very few words. Understood by most who believe in freedom and brotherhood and good wishes for future generations. It’s the perfect place to take your kids to, to show them how people now and then shared the same hopes and dreams. 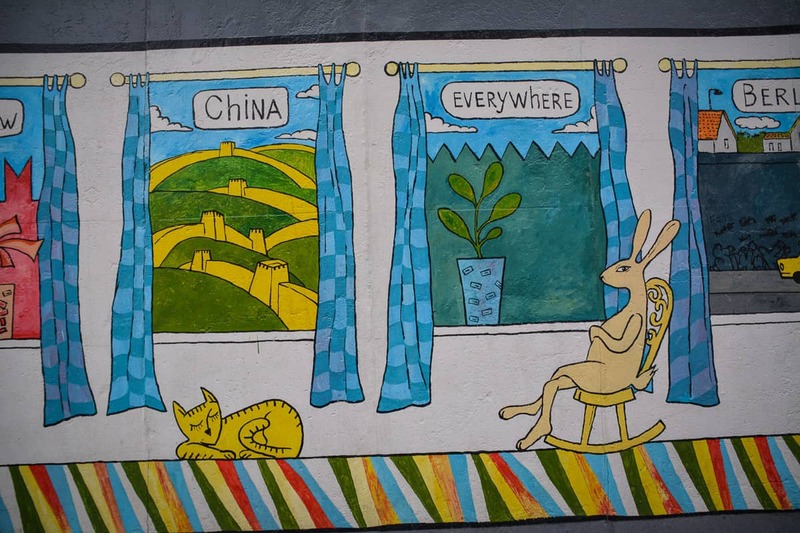 It is more than just street art or political graffiti. It’s an important testament to one of the biggest political changes in Europe and the world. It’s the only authentic memorial of the re-unification of Germany. For future generations, it will be one of the most important pieces of art in modern times.